Our volunteers are essential to the successful running of our clubs. They support our Club Leaders by helping members to enjoy their time and encourage them to get involved. 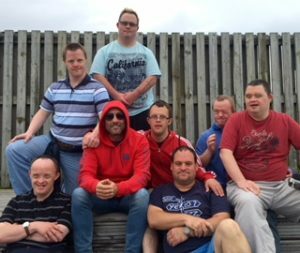 Niall has been volunteering since 2005 and has enjoyed seeing many members develop in confidence and life skills over the years. 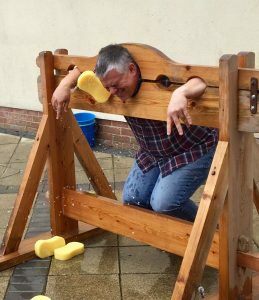 He regularly volunteers at 18+ club and has supported member’s holidays and day trips in the past. He is also a trustee and member of the Executive Committee. Molly is one of our young volunteers who has been with us for nearly 2 years. She supports 18+, Keynsham Juniors and Go Explore and hopes to support a holiday soon. Molly has gained in confidence through this new experience and really enjoys seeing the difference you can make in someone’s life. She has run two very successful fund raising events over the last two years giving her even broader experience. 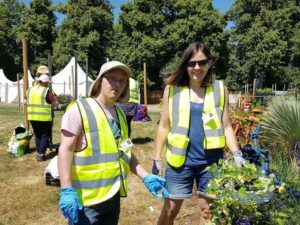 Kath started volunteering in 2014 after her son flew the nest and she was looking for something meaningful to fill the gap. She supports adults at the 18+ club and has learned to drive a mini bus so she can support trips out and day trips. Kath particularly enjoys the residential holidays which are a chance to get to know members better while laughing til your cry! Recently Kath became a Trustee and helps with our digital marketing campaigns. Charlotte is now pursuing a career working with people with learning disabilities as a result of her volunteering with us. We were recommended to Charlotte by her college and she has never looked back. She continues to throw herself into all activities and holidays to ensure members have the best time possible even when she does similar things in her day job. Jade and Mikey have been volunteering together for years and recently got married. 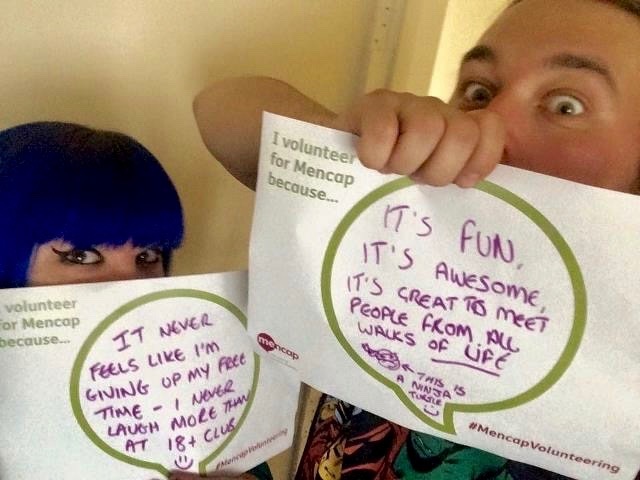 Jade changed her career to work in social care as a result of how much she loved volunteering. 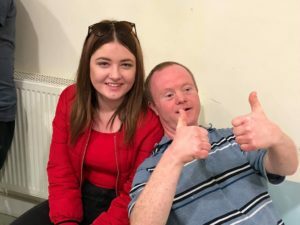 Initially Jade was shy and lacked confidence about helping with people with learning disabilities but that quickly changed and now both Jade and Mikey just love it. Kristy is our oldest volunteer – not that she’s old in age but she’s our longest serving volunteer! She started in 1996 when she was just 16 years old. 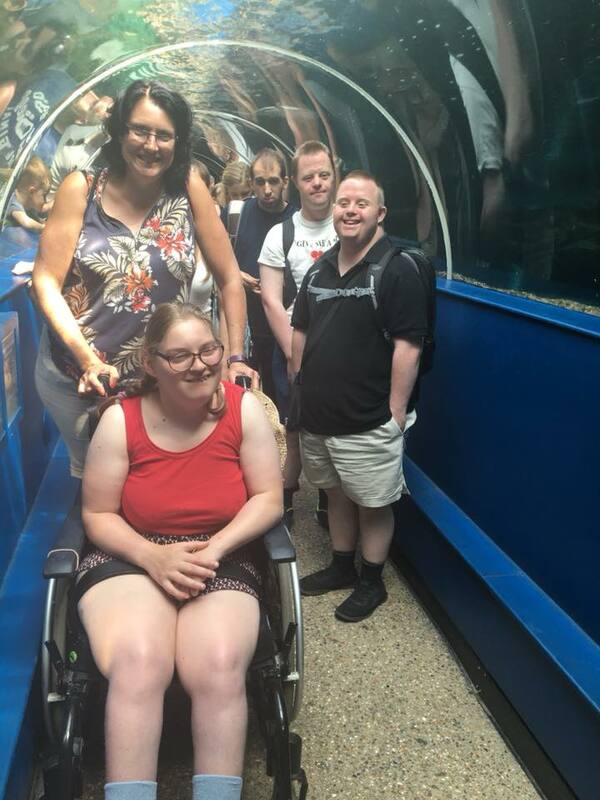 Kristy has volunteered across all age groups, drives a mini bus, does the day trips and holidays and has even met and married her husband who was also a volunteer. They now have 2 children but she still enjoys volunteering every fortnight. Mel volunteers with 18+ and is a regular on holidays too. You’ll find him in many of the album cover style photos on the facebook page! Megan’s sister has Down’s syndrome so she has lots of personal experience of learning disabilities. She became involved in Mencap after leaving school and has been helping out at our kids clubs for 4 years. 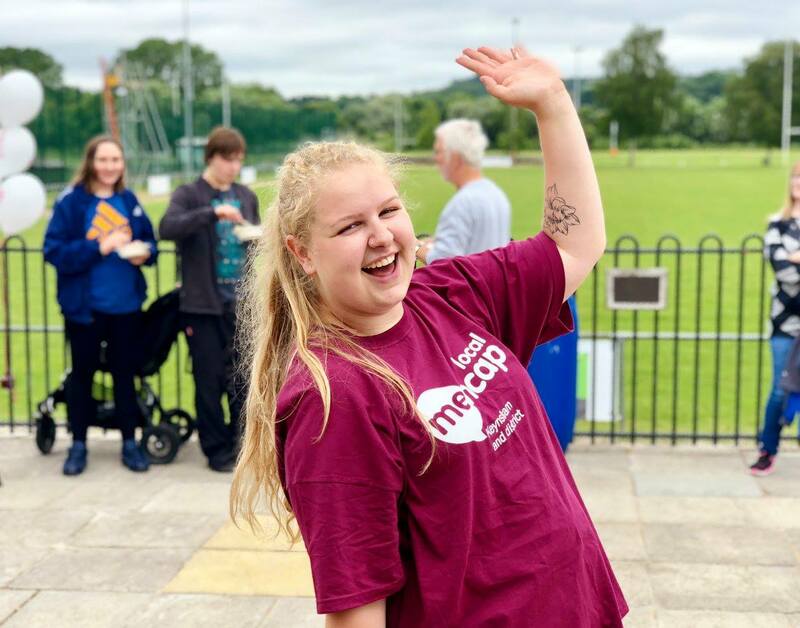 Being involved has helped build Megan’s confidence and makes her feel really proud and happy to know that that she’s helping to make sure the kids are having fun. 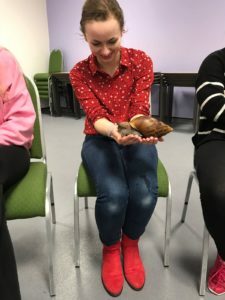 Charlotte is one of our newer volunteers having been with us for only 6 months. She is going to UWE Bristol to study Paediatric Nursing next year as she love’s working with children so much. 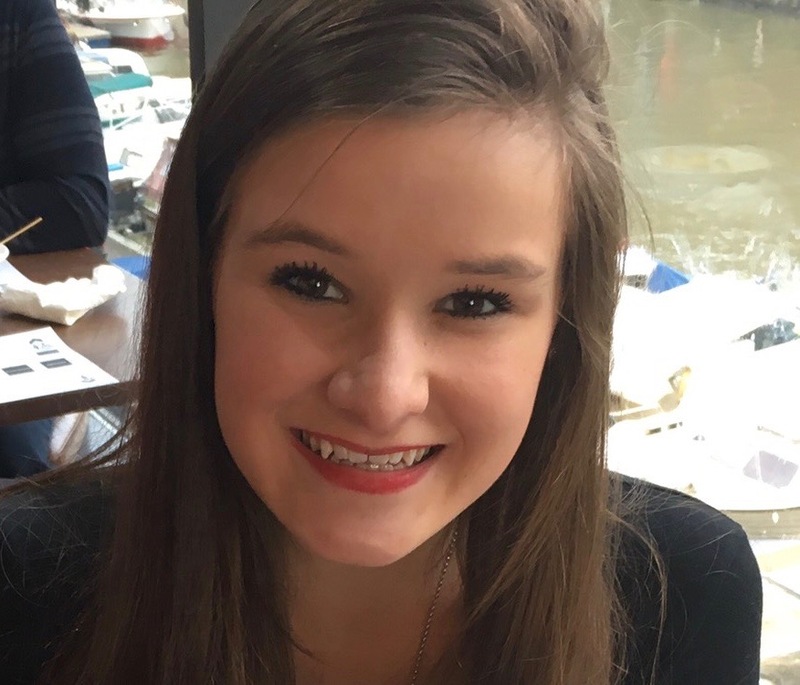 Charlotte volunteers with our 11-18 year olds and got involved because she wanted to make a difference in her local community. 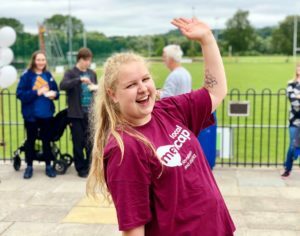 Charlotte finds helping the children at Mencap to be an incredibly rewarding experience and would recommend it to anyone who is thinking about it.